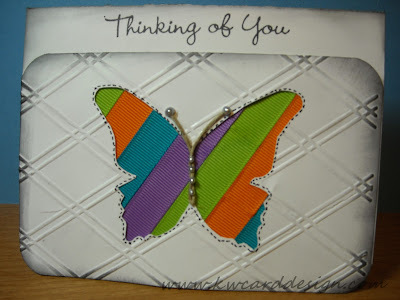 Great take on this challenge, Kari, and beautiful summer colors, too! 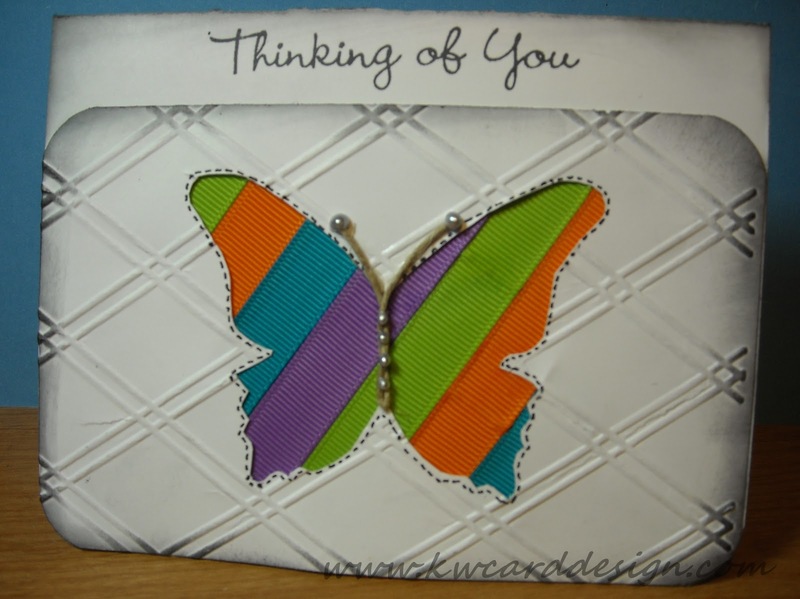 Thanks so much for playing with us at Lily Pad Cards! Holy goodness that butterfly does look like it consumed a lot of time... but it looks very very cool! What a unique use of ribbon, I always find ribbon a hassle to deal with myself lol. Good luck with the challenge! Creative and just wonderfully delightful. I love that butterfly.